We are proud to say that we are into our fifth year of being endorsed by the Which? Trusted trader scheme for our repair service. Click on the image below to see our Which? Trusted trader profile and also feel free to leave us a review if we have done any repairs for you.
" 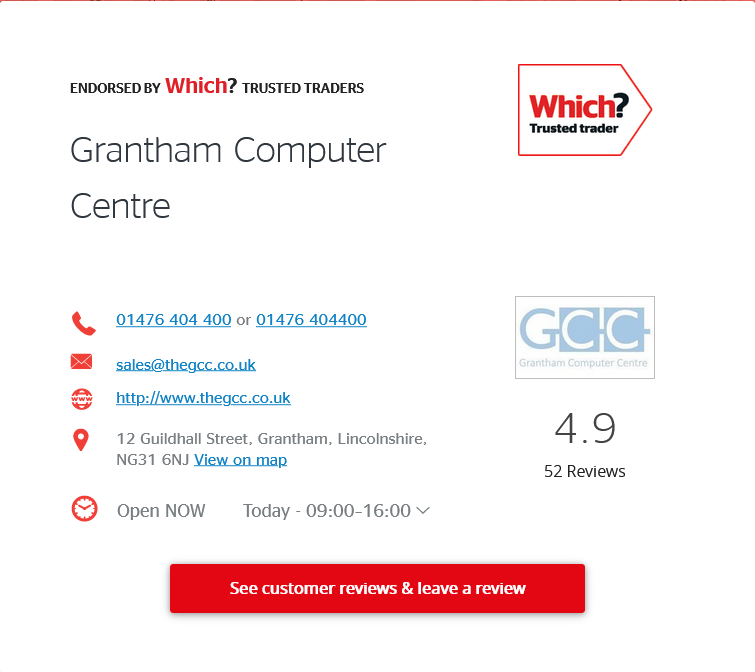 Dave and his team are just so friendly and helpful, I never go anywhere else now... - March 2013"
©2016 The GCC | The Grantham Computer Centre. All Rights Reserved.